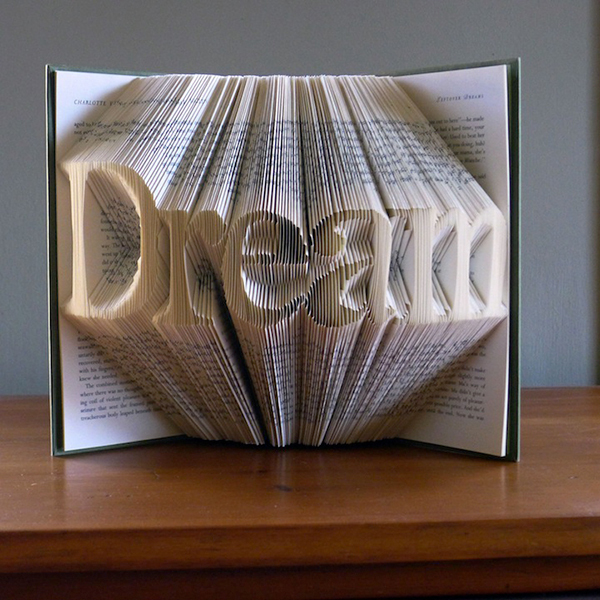 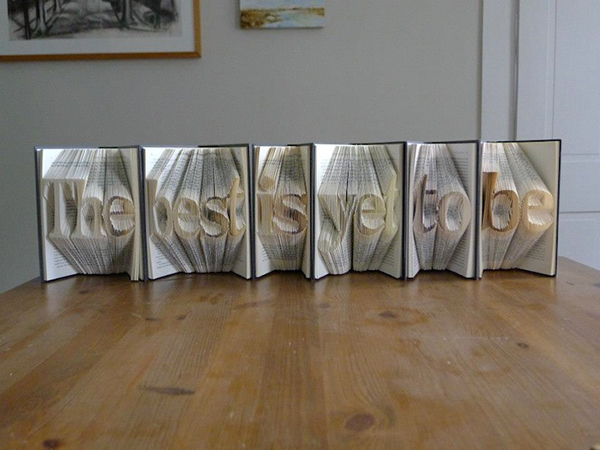 Vermont-based artist Luciana Frigerio has created a stunning collection of paper art where she folds the pages of books to “spell” out inspiring messages. 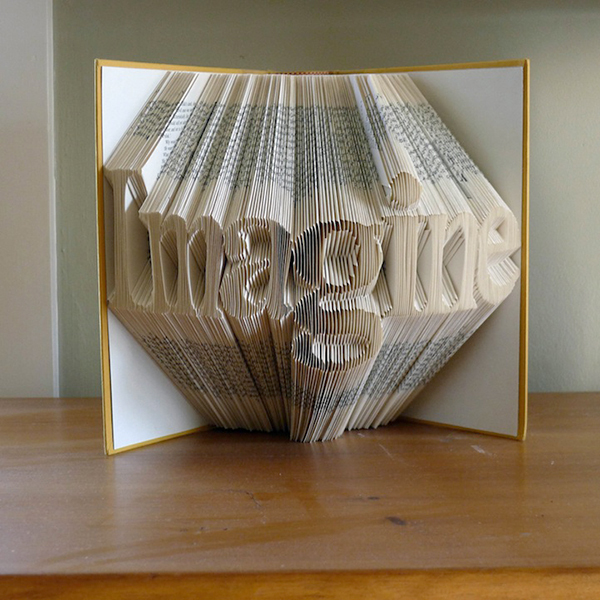 Using the pages of books as her canvas, she meticulously folds their pages to reveal words and phrases like “Imagine” and “You & Me”. 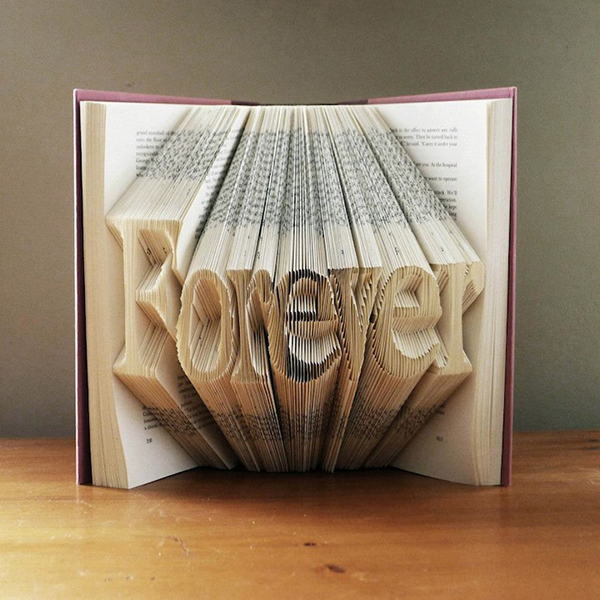 Amazingly, the artist’s messages are formed with standard fonts instead of a custom typeface—she only uses Times New Roman and Helvetica because they are more visually impactful. 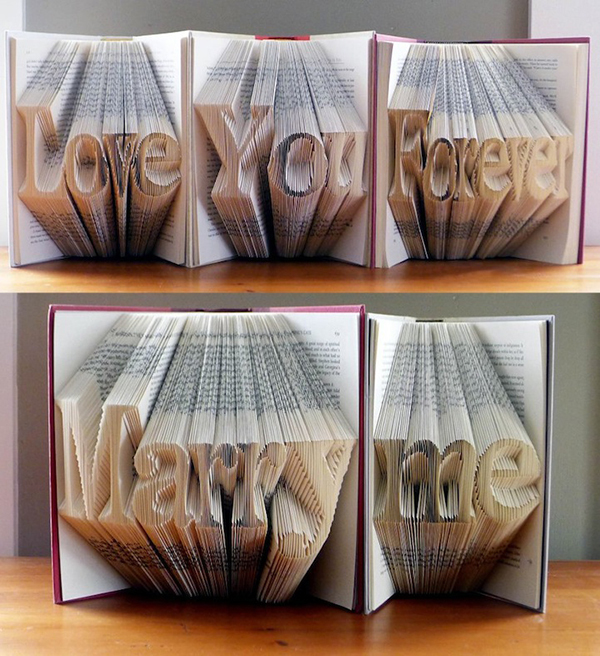 Longer phrases, like “The best is yet to be”, can also be spelled out by putting several book side by side—one innovative man has even proposed to his girlfriend with set of Frigerio’s folded books!